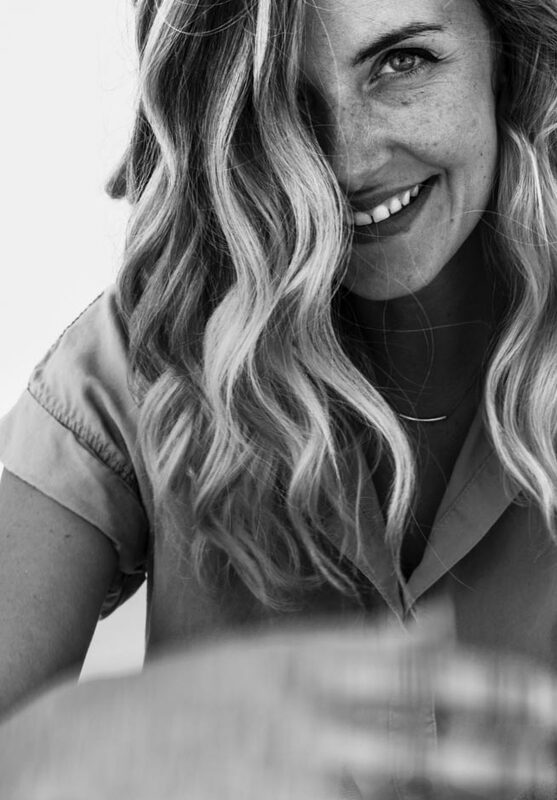 Kristene DiMarco officially joined the Bethel Music Collective last year, but the seasoned songstress has already made several profound appearances. In 2011, she appeared on Jesus Culture’s Awakening: Live From Chicago album with her powerhouse cover of “Break Every Chain.” Then again in 2014, on Bethel’s You Make Me Brave, she brought her rendition of “It is Well,” completed with brand new verses that reminded us that “the winds and the waves still know Your name.” Lastly, on this year’s Starlight, she brought us “Take Courage,” yet another powerful reminder that God is in control, even when we cannot see where He is leading us. That is the message of Kristene DiMarco’s debut with Bethel Music, appropriately titled Where His Light Was. Kristene shares of the album, “Where His Light Was comes from the perspective of when you're walking through a hard time, it feels dark, and you can’t see where you're going, but God said go. If you keep moving forward you will reach your destination and realize you were never alone. Through the mystery and unanswered questions, He was with you the entire time. Don’t give up. Keep going.” And though she has previously released three independent albums, Where His Light Was is a stunning debut with Bethel Music! A 40-second acapella rendition of “Doxology” opens the album nicely, with Kristene’s pristine vocals. It blends into the title track, which begins with electronic vocals and harmonies. The track itself is less than two-minutes long with a soothing electronic beat, as Kristene softly sings of the loving arms of Jesus that carry us through our difficult seasons (“This is no ordinary man that carries us up our mountains”). Both of these two tracks feel like opening tracks, which is very interesting. Two pre-released tracks follow. In “Fear Not,” Kristene prophetically sings from God’s perspective to us, saying in what is my favorite verse, “Let me show you what I see/ You can’t dream too big for me/ so get up get on your way/ we’ve got things to do today!” God then says to us, “Fear not! If I could say it any louder I would.” Gospel choirs echo, “I would, yeah!” The track is soft and tranquil with a strong drum beat, and spoke volumes to me personally. “Take Courage” also appears, sounding exactly like the version heard on Starlight, though it is a polished studio version. Comparatively, I would say the live version is stronger as Kristene’s vocals sound deeper than usual on the album, though this version is definitely welcomed! “Never Ever” gently reminds us that Jesus will never leave us, and especially holds us in our most vulnerable moments. Following is one of the album’s highlights, “No Victim.” With a solemn tone at first, Kristene DiMarco boldly declares promises of God over Satan’s lies – “I am no victim/ I live with a vision/ I’m covered by the force of love/ Covered in My Savior’s blood.” Beautiful strings and harmonies build the song strongly, and together with Kristene’s phenomenal vocals, we are reminded “I’m defined by all His promises, shaped by every word He says!” The listener is invited to remember who they are in God’s eyes and to drown out all other voices of defeat. It is a really powerful track! Probably the most upbeat track on Where His Light Was is “Your Love Stands Alone.” With a vibrant piano sound setting the tempo, anticipation builds as the strong drums and guitar bursts help build the song up to its second verse and chorus. Amidst the beautiful strings we are powerfully reminded of the truth found in Romans 8 – nothing can separate us from the love of God! This track does a wonderful job of celebrating that inseparable love. Another Gospel track, much like “Fear Not” follows, titled “Jesus is Willing,” which also features the vocal talent of Tasha Cobbs. One of my favorite lines on this album comes in this track, as Kristene and Tasha together sing, “Jesus won’t fail me/ He doesn’t know how!” It is a timeless reminder that Jesus will come through for us no matter what. And in the light piano pop track “Could You Be This Good,” Kristene sings through several stanzas of God’s goodness, and asks that question repeatedly, “Could you be this good? The way that You forgive me/ The way that You hold on to me/ Could You be this good?” It is beautiful beyond words! “Hope is Alive” was a treat to hear on this album, as I had previously heard the live spontaneous moment where this was first recorded. Kristene excellently added descriptive verses about Jesus’ victorious eruption from the grave, and then confidently declares, “Hope is alive today/ He is alive today” and, “No matter what we face/ We overcome in Jesus’ name!” The album then closes like a story book with the tranquil “I Just Want to Worship.” With little more than piano and Kristene’s soft vocals, Kristene beautifully sings about wanting to worship God and bask in His presence “fully present in this moment/ fully given to you.” What a beautiful ending to the album! 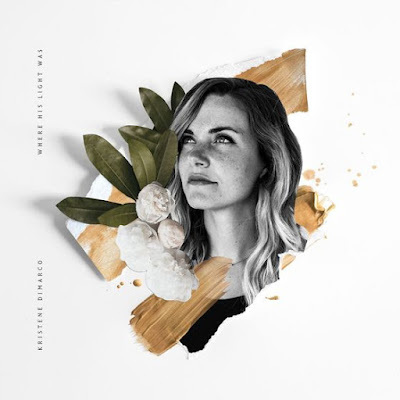 I have loved listening to Kristene DiMarco’s live worship with Bethel Music and was therefore very much looking forward to hearing this album. Where His Light Was is a stunning worship album that helps the listener to focus on Jesus and remember that He is leading us, even if all we can see is darkness in front of us. I was deeply touched by this album and repeatedly found song after song replaying through my head just when I needed it; lyrics such as “Fear not/If I could say it any louder, I would” or “I’m defined by all His promises, shaped by every word He says” reminded me – and will, no doubt, also remind the listener – that Jesus is faithful, right with us, and will bring us through to the other side. Add this powerful message to Kristene’s phenomenal vocals and the tranquility of the album, and it can’t get much better! Great job, Kristene DiMarco!